Maxxon MVP is a two-component, chemically enhanced epoxy that can reduce moisture vapor emission rates of up to 25 pounds per 1000 square feet to 3 pounds or less through concrete floors and walls. Topped with Level-Right, the system smoothes and strengthens damaged floors, preparing them for finished floor goods in as little as two days. 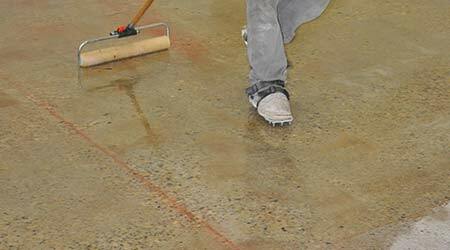 The Level-Right Underlayment system can level new or old concrete floors and attain up to 5500 psi.